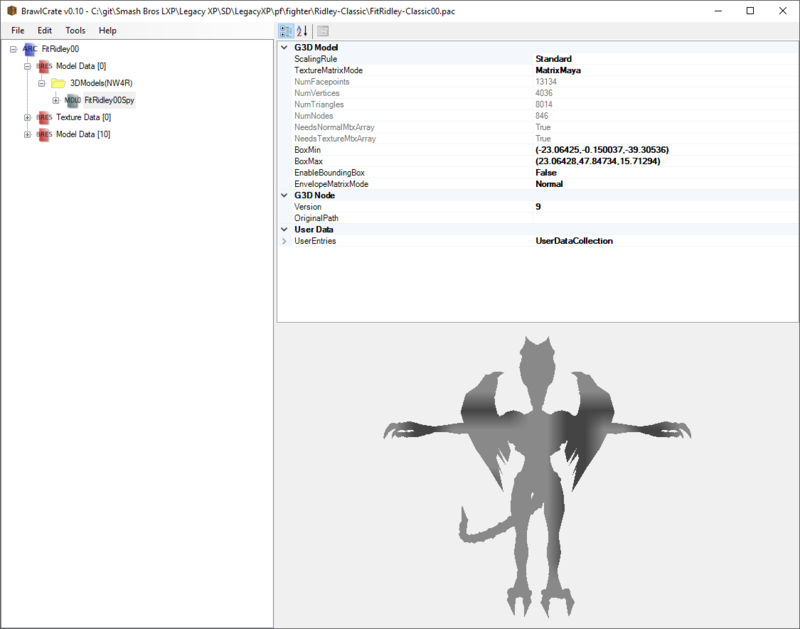 Project N 3.62E by PNBR, soopercool101, davidvkimball, Layell, Yohan1044 with credit to everyone in the credits.txt file. 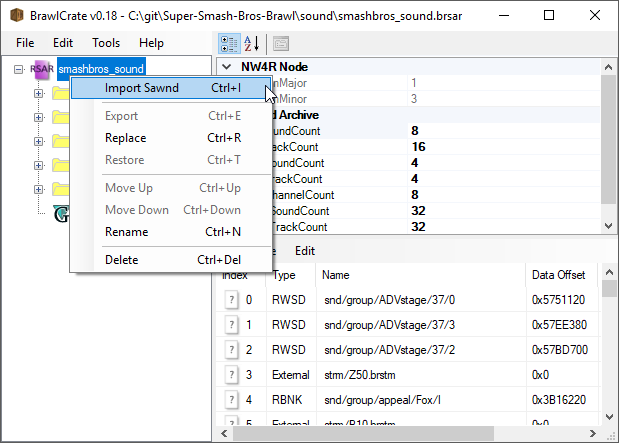 Update: Fix platform shadows not showing, stepping sounds are now more natural sounding, Pickmin desync. 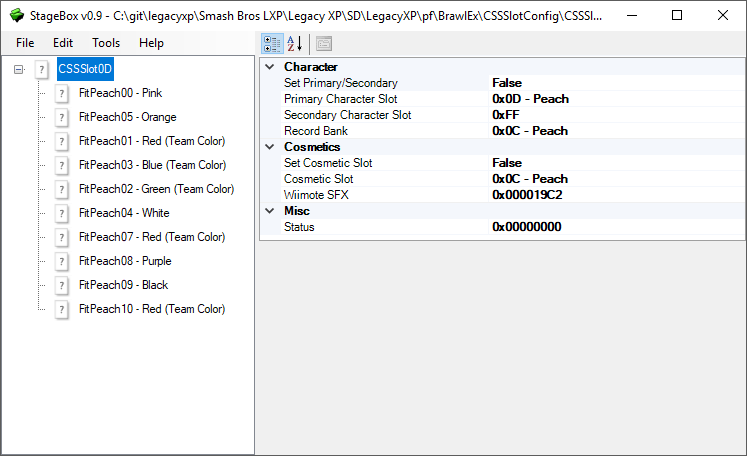 Replaces the PMs Bowsers Castle and the Legacy TE Legal Bowsers castle (A slots, 1-1). 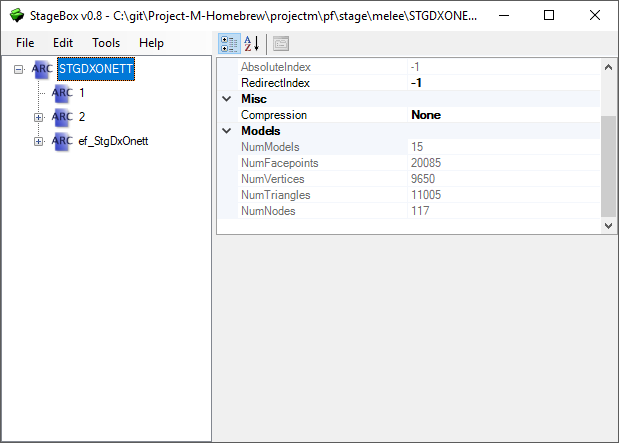 It uses stgtargetpractice 1 as base. 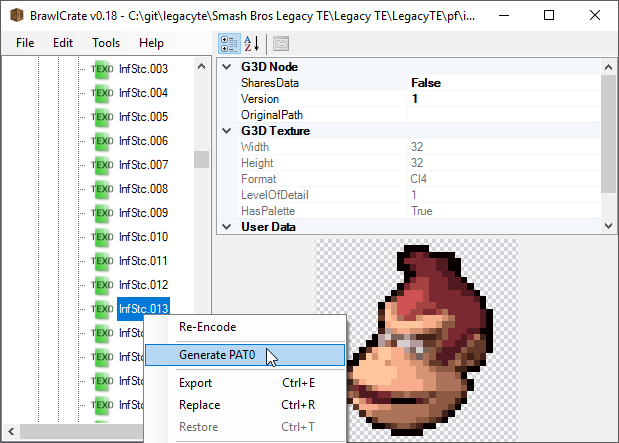 VBrawl users: Using the .rel can replace this for vBrawl's STG Mario Kart. 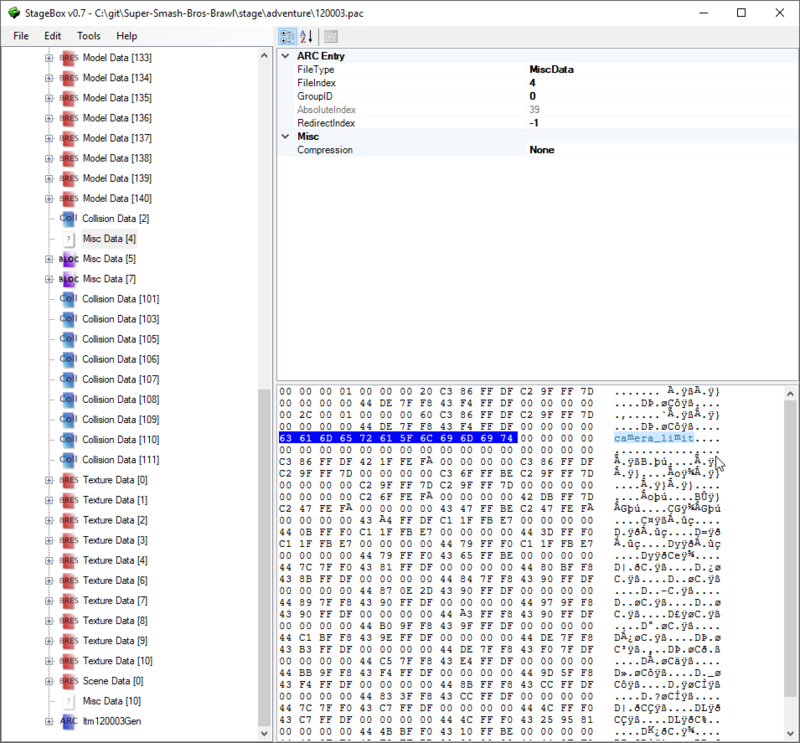 Soopercool for testing and providing the .pac. Wario's Castle got some revamp! It's a personal-opinion based revamp as I tried to go with an ancient egyptian castle theme. 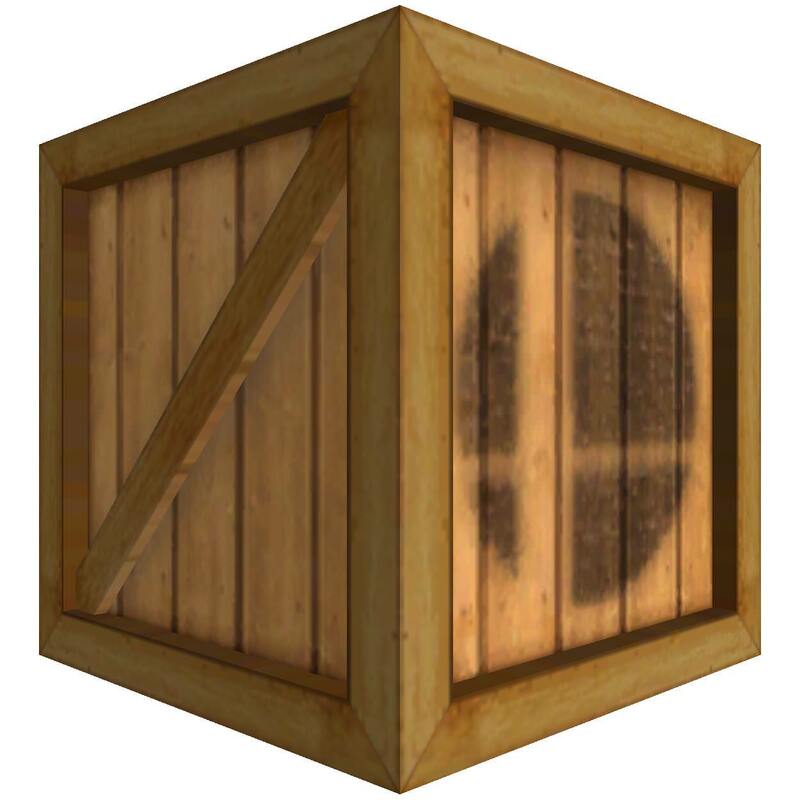 Nothing really special to say, it's just more high quality than the original smash 2 stage. It has the fixes from my other upload aswell. Wario's Castle got some sweet improvements! 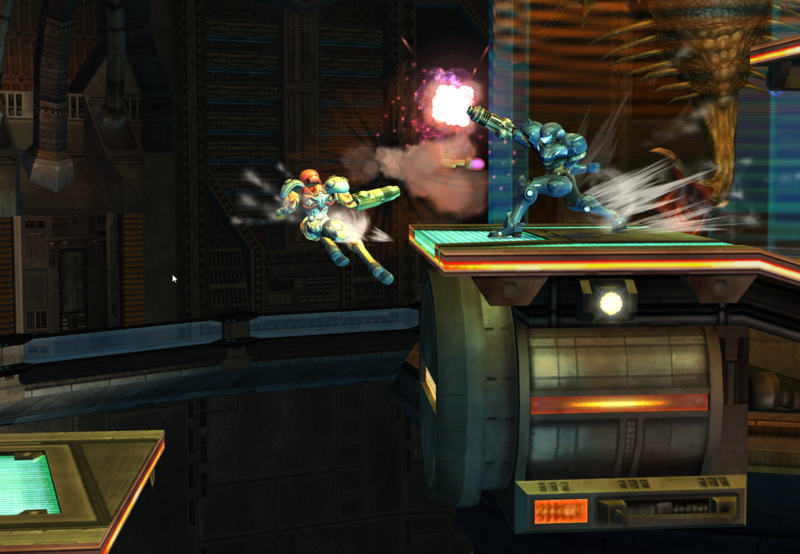 First off, lightning is fixed for the brawl models, also some collisions were updated to match visually the stage. 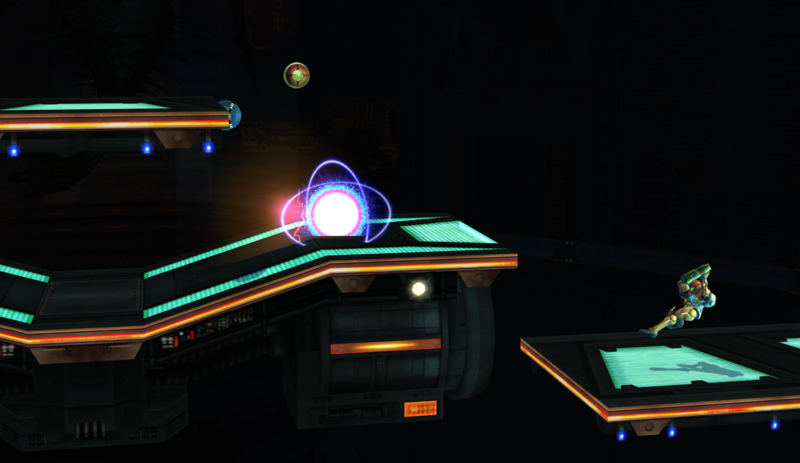 The boundaries were edited to fit for Project M gameplay and it has also some stamina mode fixes, some extra stuff got fixed too like the torch light being overlapped by the wall behind. Uses a jungle japes module. 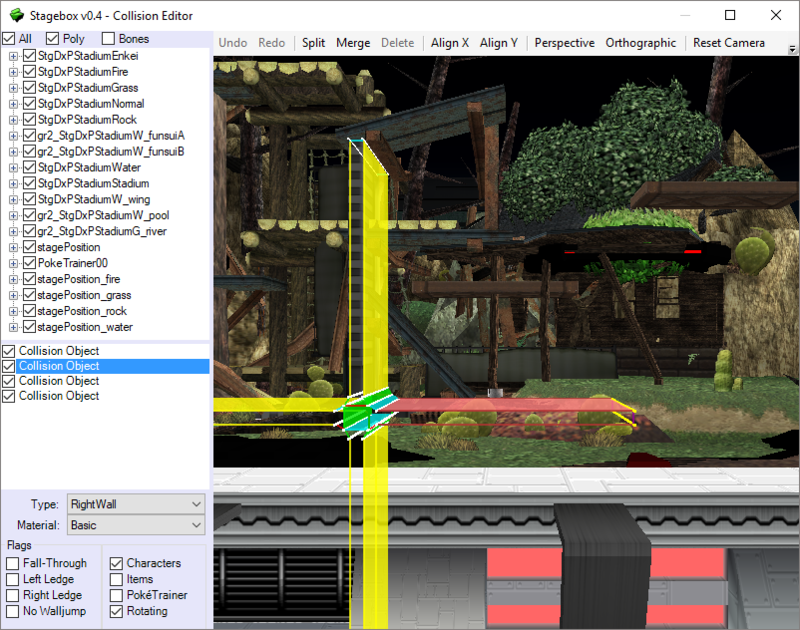 Alot changed, from curtains, to platforms, to optimizations and to new decour. 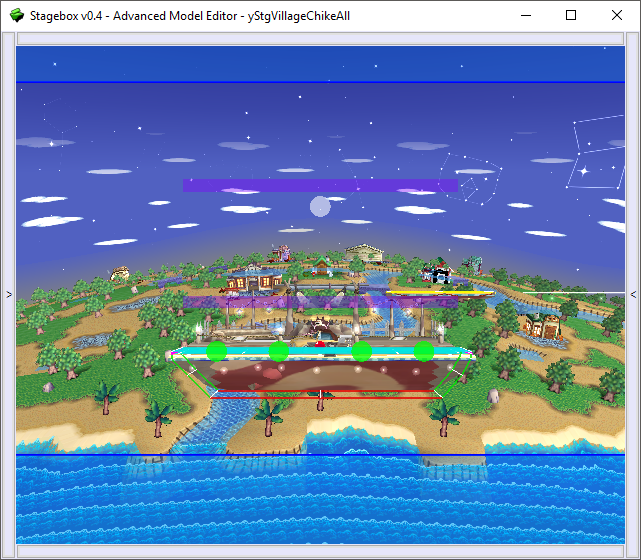 This is the true final version of this stage, no more fixes or updates are necessary. Thank you so much for the feedback! 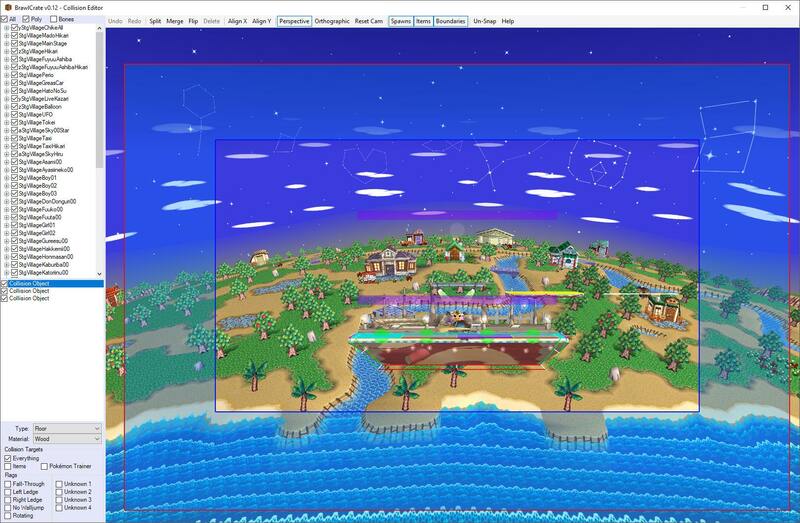 You made this stage be truly Radiant! 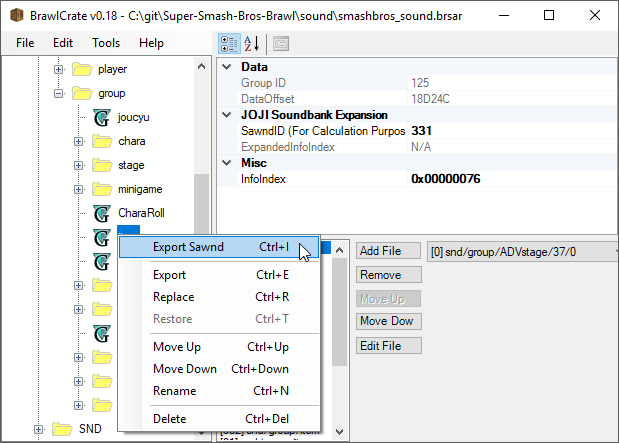 BrawlCrate is a fork of BrawlBox v0.77 with a ton of new features. 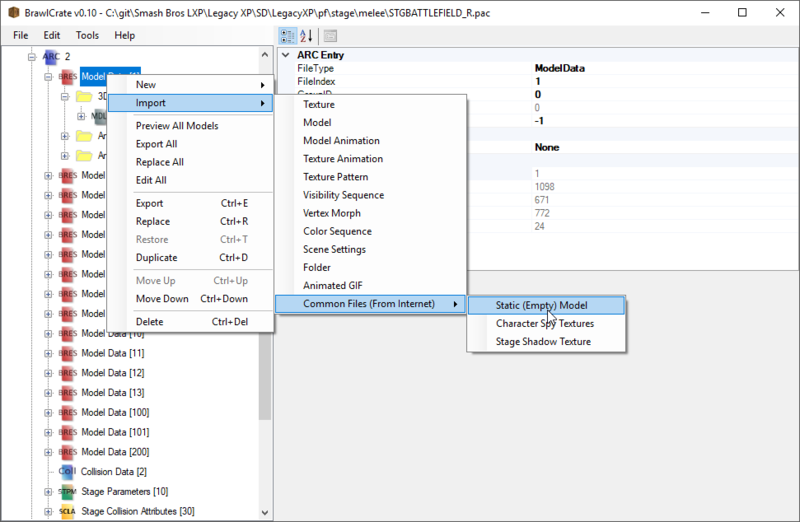 This release adds support for conversion to and from the 50-Costume Code system introduced in Legacy TE 2.1. 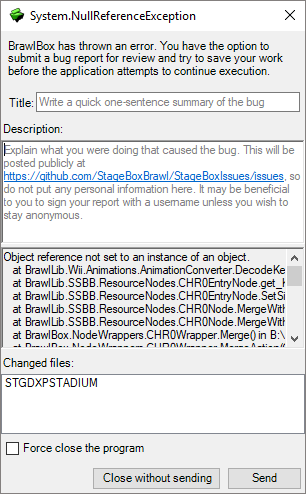 Full changelog from BrawlBox v0.77 is included in the download. 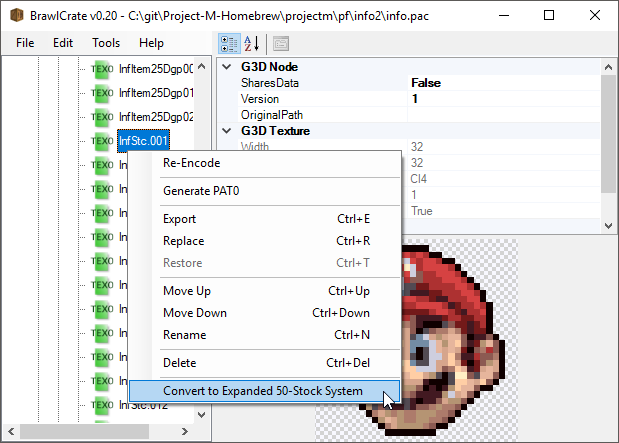 This release adds support for sawnd imports and exports, as well as support for Stock PAT0 generation. 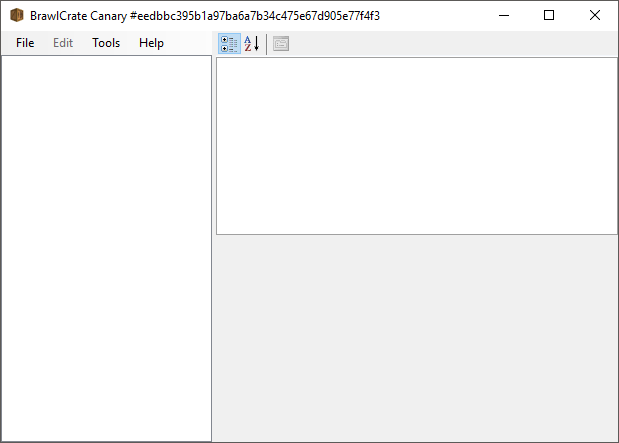 This release adds support for the installation of BrawlCrate Canary builds, as well as generally improving performance. 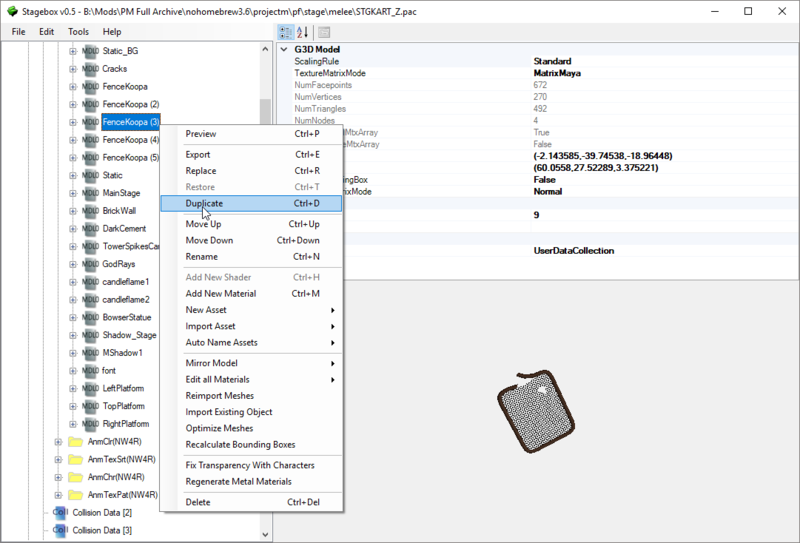 This release adds support for documentation updates among major improvements and fixes. Ensure auto-updates are active in the settings to make sure you always get the latest improvements! 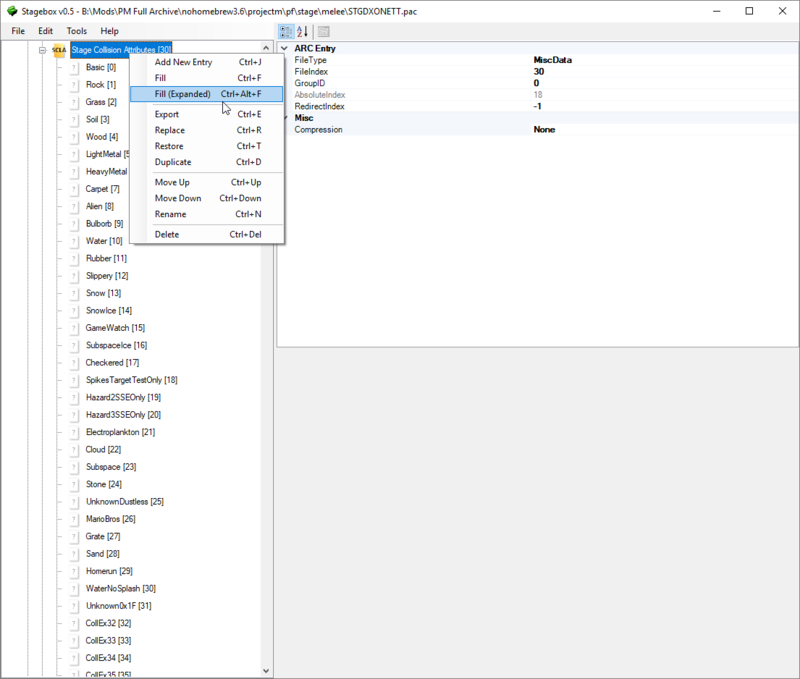 This release majorly improves STDT parsing and adds a brand new Module Annotation System. 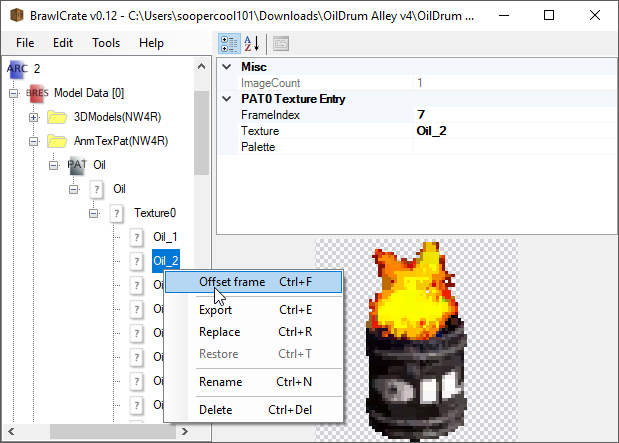 This release majorly improves the collision editor, improves editing for PAT0 files, and fixes a wide variety of bugs. 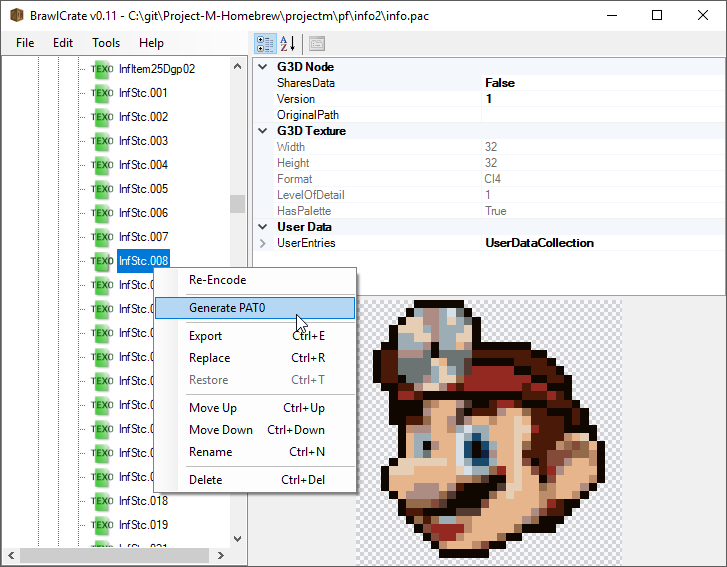 This release fixes various bugs with the collision editor, improves REL and SSE parsing, adds support for automatic generation of PAT0 files, and more. Has a bunch of fancy new features. 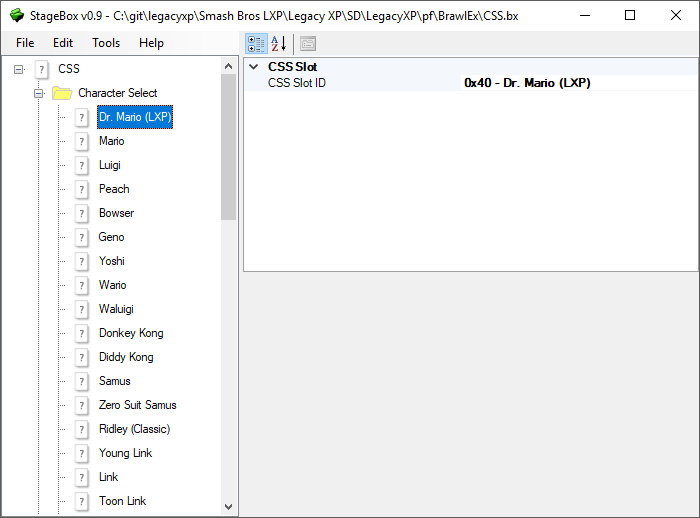 Full changelog from BrawlBox v0.77 is included in the download. A rebrand of StageBox. 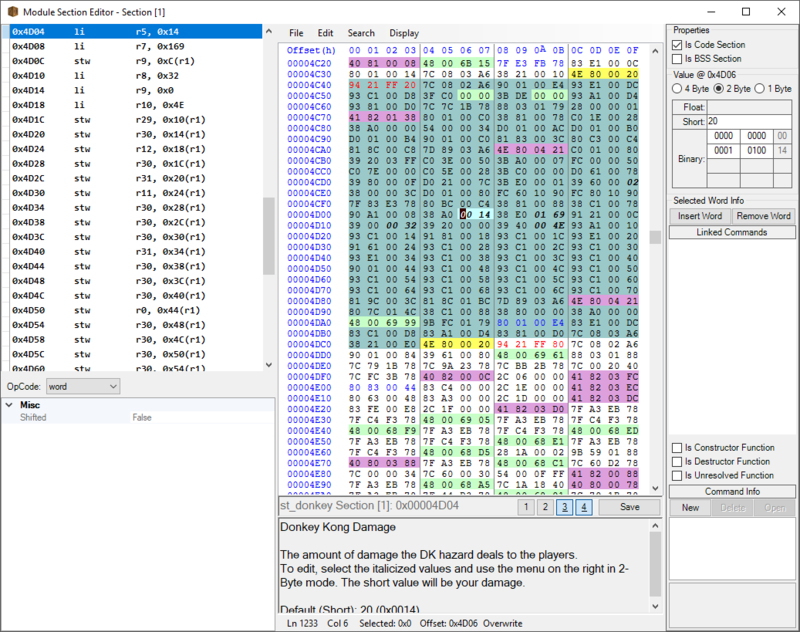 This release adds automatic FitFighterSpy generation and improvements to some core features which fixes various bugs. A version of Frigate Orpheon that does not flip, similar to when Frigate Orpheon is played in Ultimate when hazards are off. 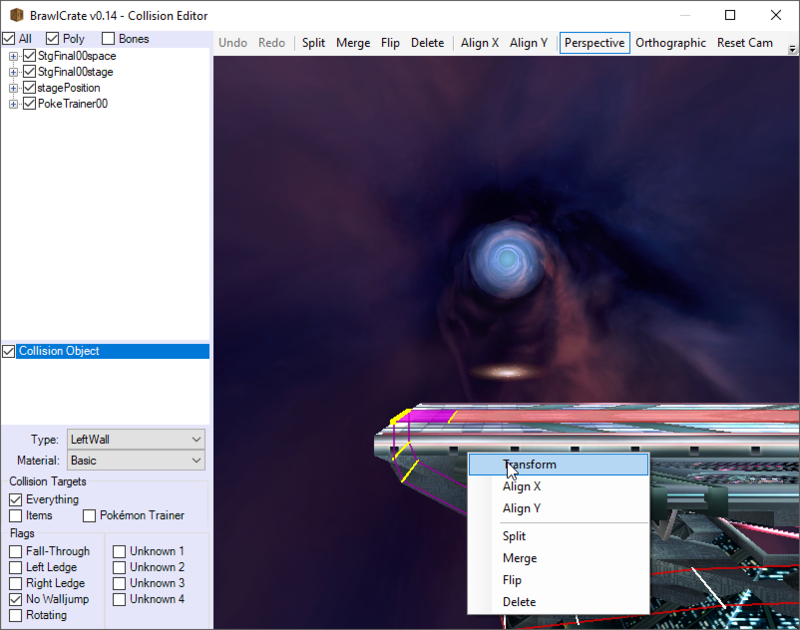 Includes both Brawl and PM versions of the base stage and the second platform arrangement when normally upside-down, as well as a necessary, modified module that must be used with the stage to prevent problems that the normal Frigate Orpheon module will cause for this setup! Despite not flipping, warning lights, power outages and Parasite Queen movement still occur, keeping the stages aesthetically varied over the span of a match. 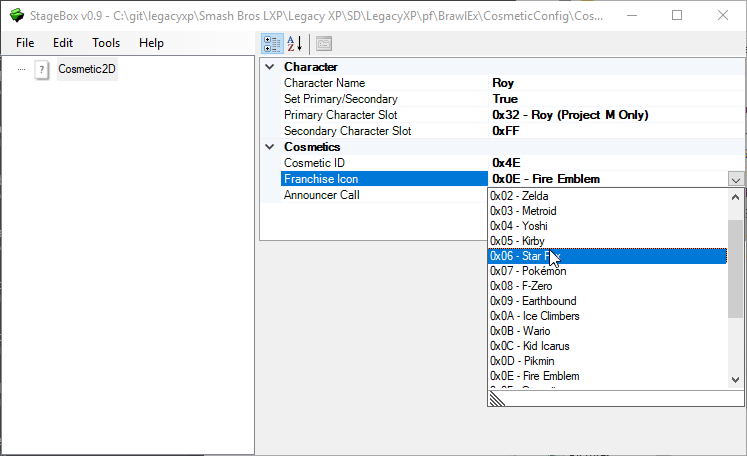 Not just for stages anymore. 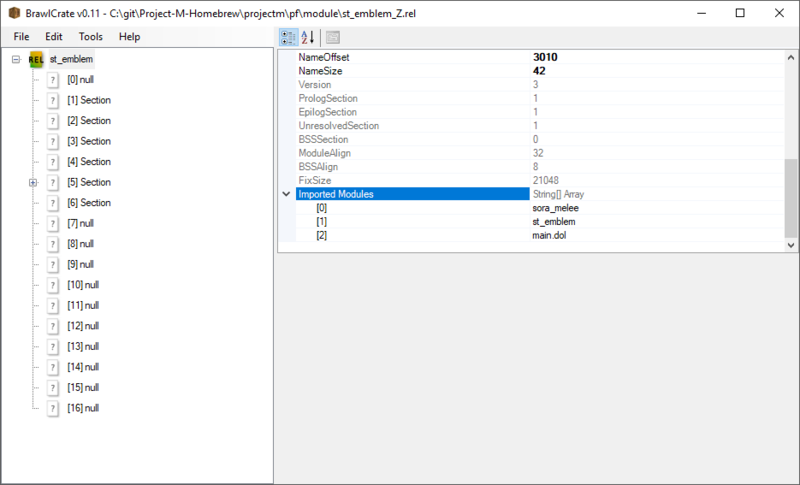 v0.9 adds support for the editing BrawlEx configuration files, fixes module corruption issues from BrawlBox, and improves the animation previewer to more closely reflect how the animations appear in-game. 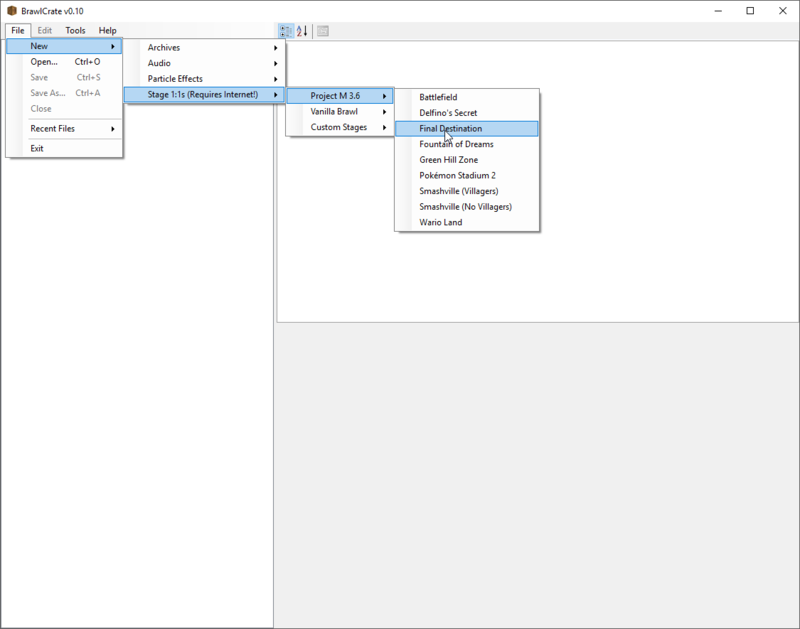 StageBox is a fork of BrawlBox v0.77 specifically designed for stage modding. 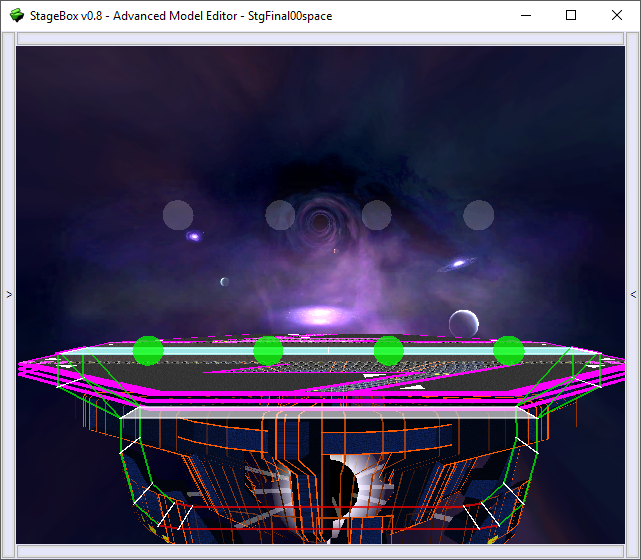 v0.8 now properly shows the the void for stages, fixing view for stages like Final Destination. 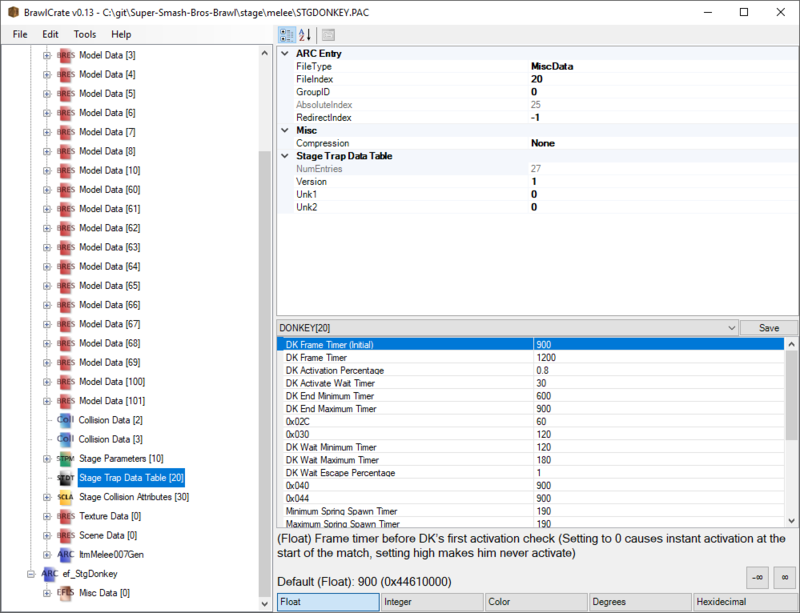 It also adds info for optimization, many improvements to stability, and more. 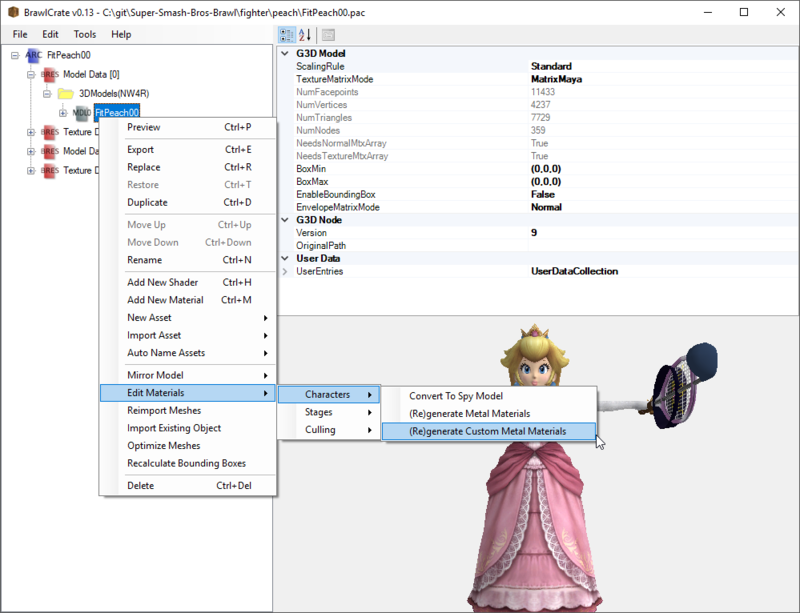 v0.7 includes updates to texture rendering to make models closer match how they'll look in Brawl, improves Subspace parsing, improves collision editing, and more. 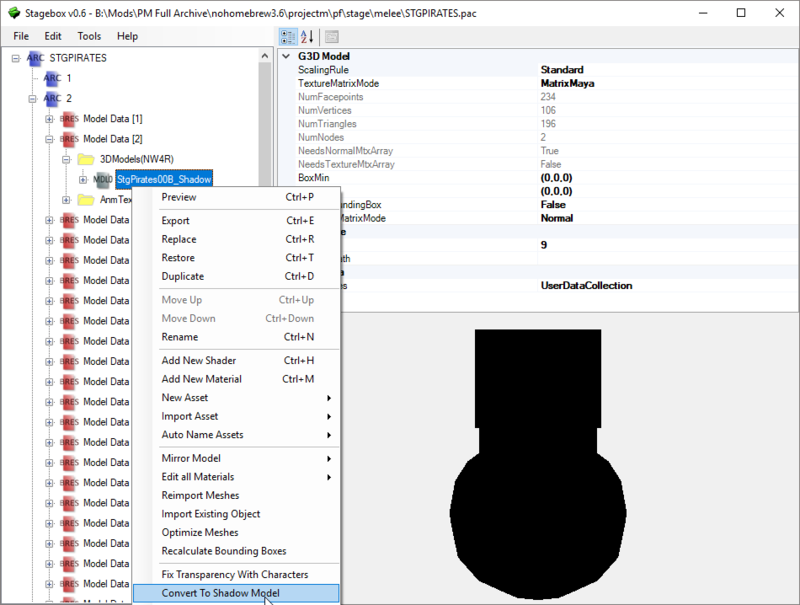 v0.6 includes conversion to shadow models and a new error reporting system. Read the read me. Update! 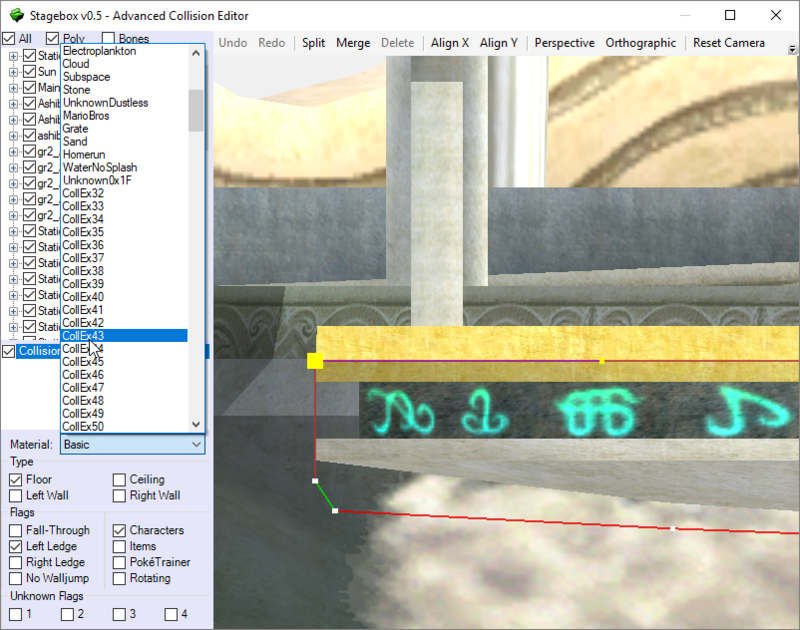 Fixed non 1-1 issues, added menu assets, fixed materials and shadows! Update Update! 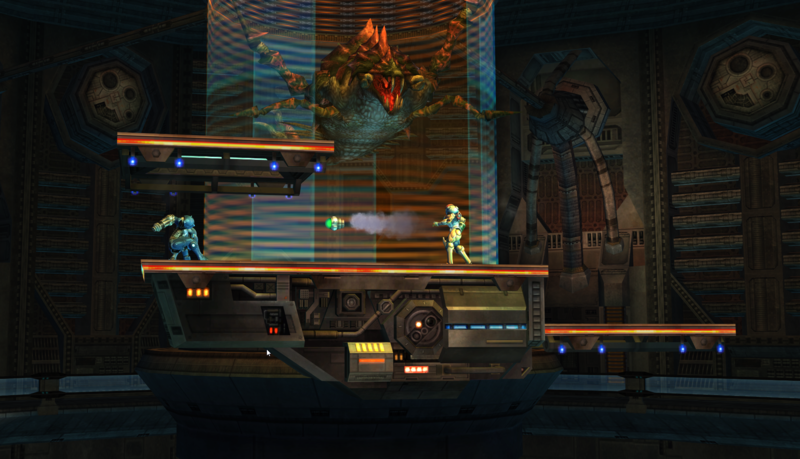 Added Layells HD platform textures and tweaked the dark variant. Lunar Battlefield is a 1:1 reskin of Battlefield with the looks of an out of this world lunar scenery. 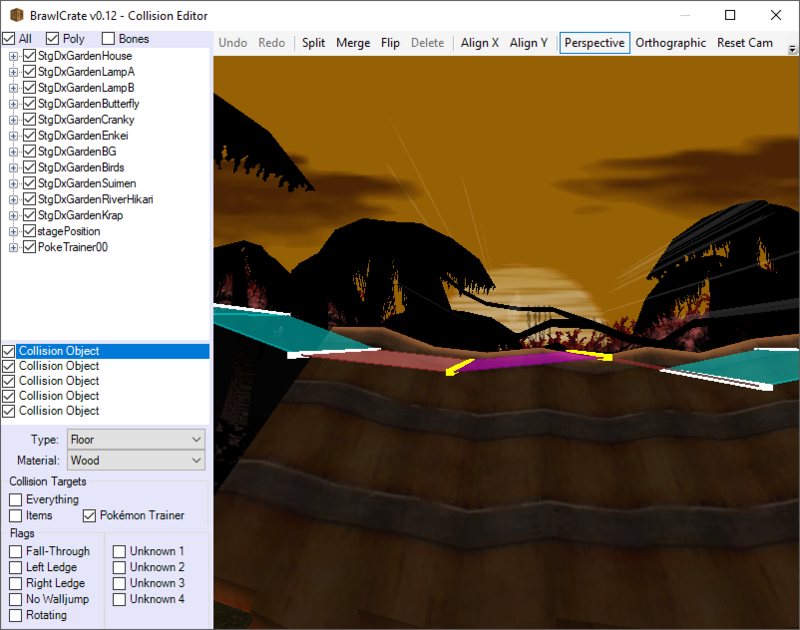 It has the same camera, boundaries, collisions, spawn points and is completely tourney legal. Credit to david so I could copy paste the description. 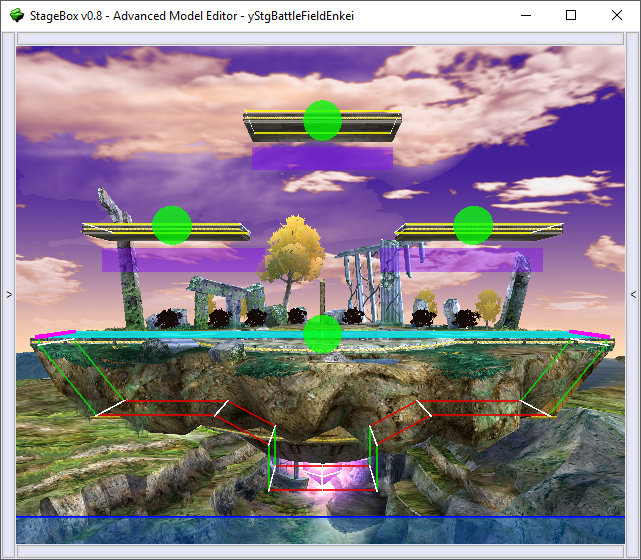 Glacier of Dreams is a really cold 1:1 reskin of Fountain of Dreams, with same camera, boundaries, collisions, spawn points and other stuff to keep it tourney legal. Entire stage made by me and has ice walking and landing sfx made by soopercool101. 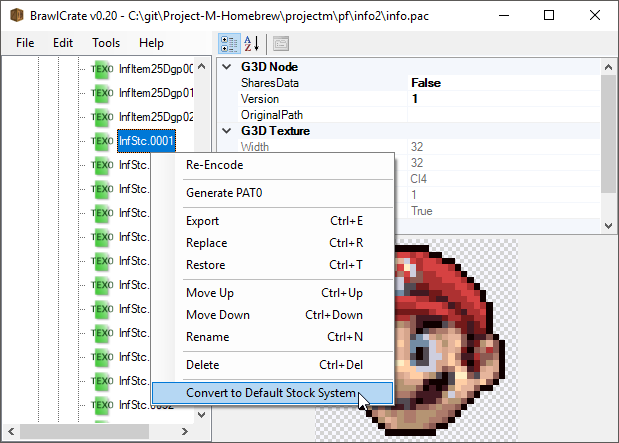 Credit to the PMDT for the original Fountain of Dreams of Project M 3.6. 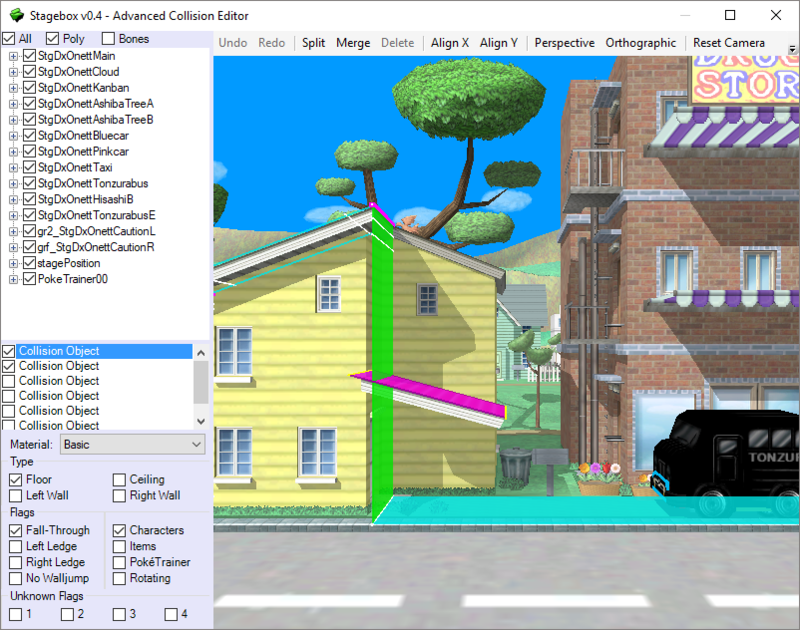 EDIT: Fixed camera issues, collision issue and classic mode crashes for Peach's Castle. 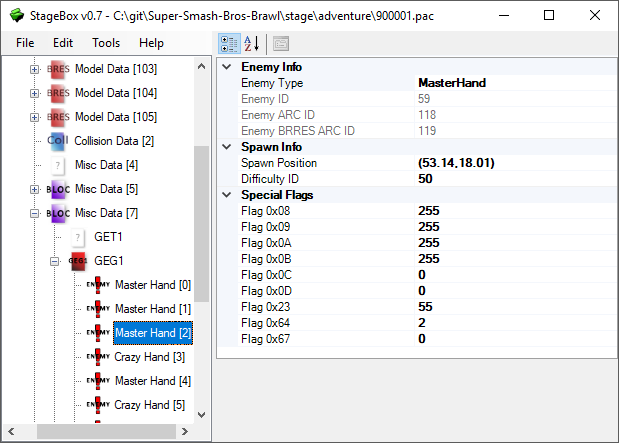 The 3 Smash 64 Stages get their original hazards back... or the closest possible. 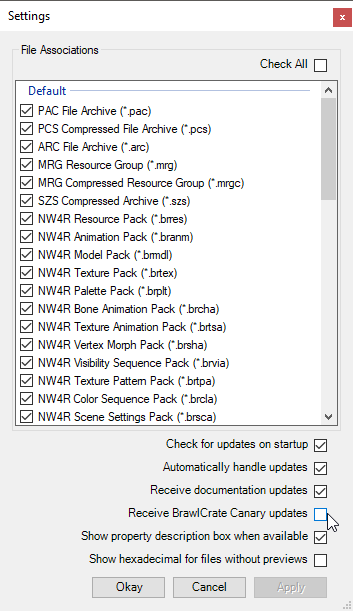 Use the rels included in the download otherwise they won't work. 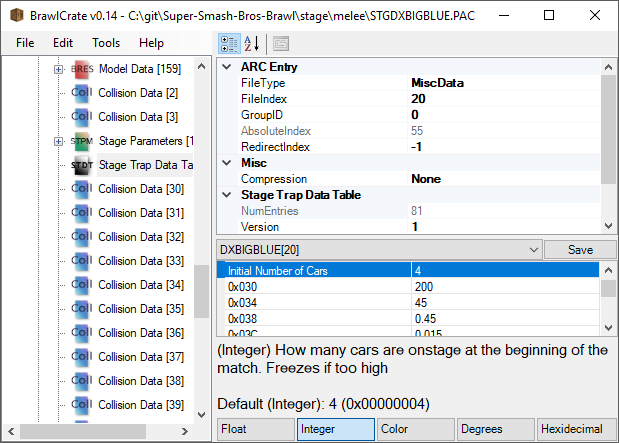 StageBox is a fork of BrawlBox v0.77 specifically designed for stage modding. 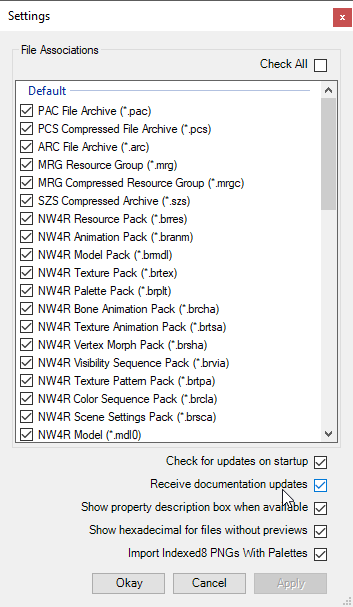 Now includes updater to ensure you're always up-to-date. Page created in 0.278 seconds with 137 queries.